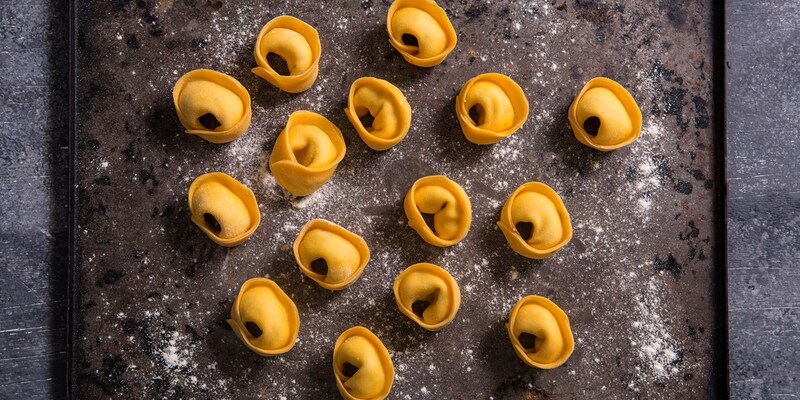 Tortellini is a small, ring-shaped filled pasta hailing from Emilia-Romagna, Italy. Traditionally, tortellini are filled with minced pork or veal and served in a rich meaty broth. However, they are equally delicious when filled with ricotta and spinach or crab and prawn. 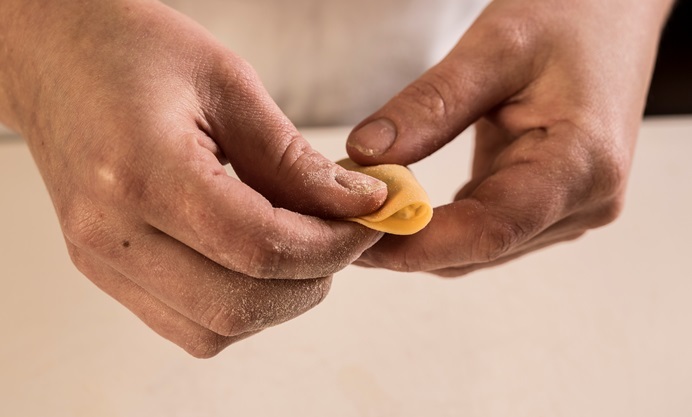 Making and shaping tortellini takes a little practice and they aren’t the quickest of foods to prepare, but the homemade version beats shop-bought varieties hands down and can be frozen, so it's worth making a big batch to have a go-to supper on hand for busier days. 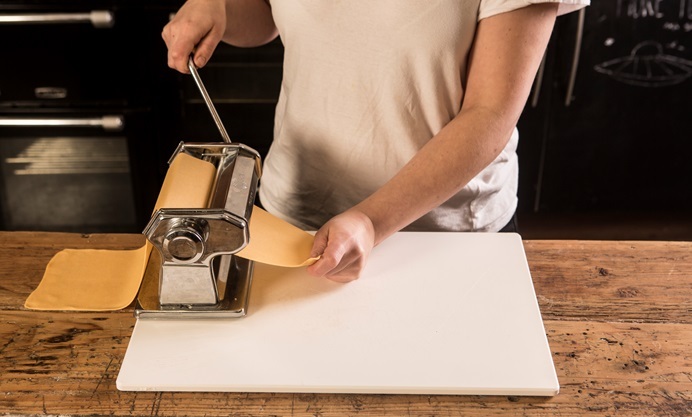 Whatever filling you choose, make sure it’s cool before making the tortellinis and that your pasta is removed from the fridge around 30 minutes before you need it to make it easier to work with. 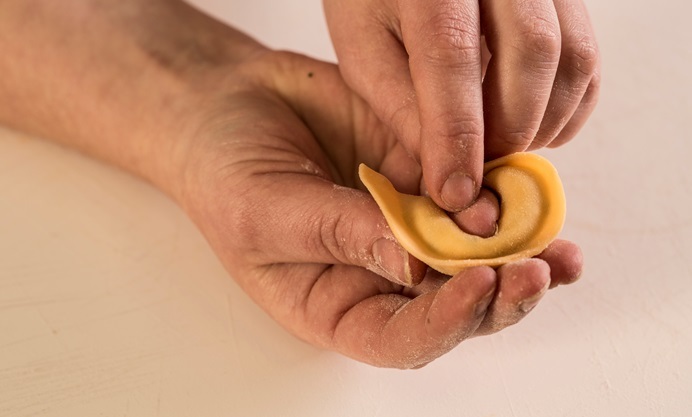 It is also important that the filling is not too wet, as this will make tortellini difficult to shape and may mean they burst in the water. 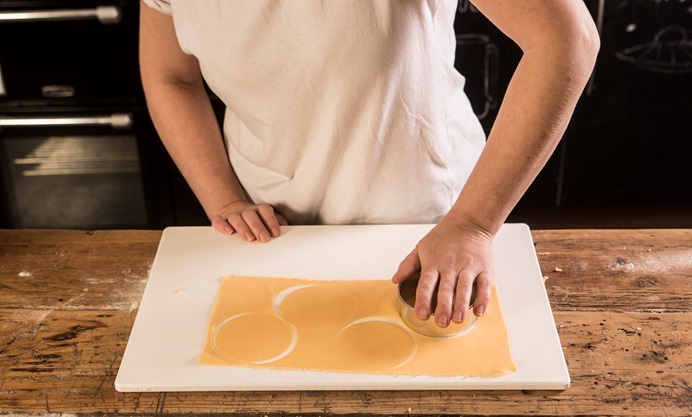 If you wish to freeze tortellinis for a later date, place them on a tray and transfer to the freezer. Once frozen, they can then be transferred to a plastic container without getting misshapen. The tortellinis can be made and cooked in advance – just refresh in iced water after cooking and store on a tray with a little olive oil. To reheat, drop back into boiling water for a couple of minutes and serve. 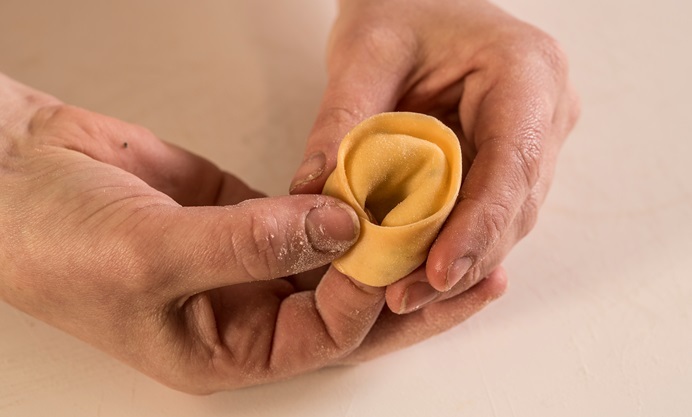 Tortellini can have many fillings; try Giuseppe D'Aquino’s Italian wedding soup with chicken tortelli (a slightly smaller version of tortellini) or Emanuele Scarvello’s simple Pasta with ragu. 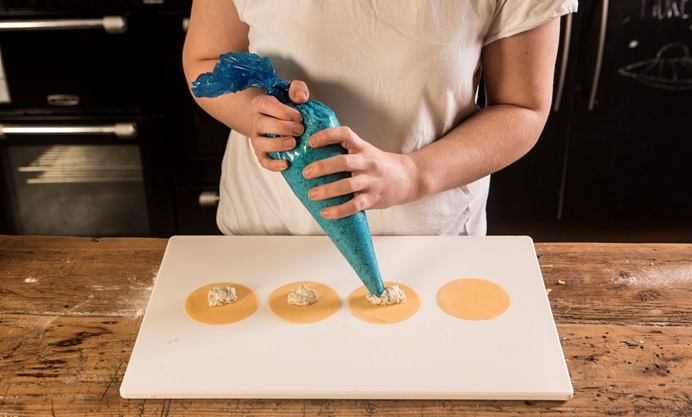 Gaetano Trovato serves his tortelli with a more unorthodox accompaniment of leek, asparagus and liquorice, while Aurora Mazzucchelli blends flavourful parmesan with floral lavender and crunchy almonds for a meat-free starter.